Backed by Texas chemical and construction executives, the feature film Justice Is Mind formally moves into pre-production with principal photography to begin in August. May 25, 2012 - PRLog -- Mark Lund, Executive Producer, is pleased to announce that funding has been secured and closed to produce the feature film Justice Is Mind. Principal photography will begin in August with a 2013 release date. After viewing the short film version Evidence, chemical and construction executives backed the feature film. Based in Houston, Texas, Wenninger is a senior executive at a major chemical company. Her husband, Stefan Knieling, is chief executive officer of a commercial construction company and also represents one of the world’s largest parking guidance systems in the United States. 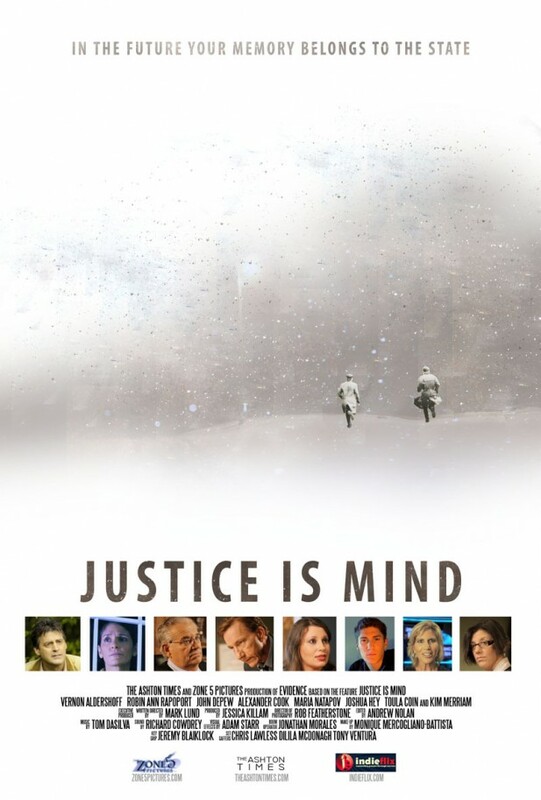 To market the concept of Justice Is Mind to investors, Lund produced a short film version Justice Is Mind: Evidence in the fall of 2011 http://www.imdb.com/title/tt2117894/. Released in January, Evidence has secured five screenings and a distribution deal with IndieFlix. A special DVD will be released in June through Amazon’s CreateSpace program. Evidence is screening this weekend at Balticon 46 a science fiction convention in Hunt Valley, MD. Jessica Killam, who served as assistant director and as a producer for Evidence, will be returning in the same capacity for the feature film. In addition to reaching out to the cast and crew from the short film, casting and crew notices for the feature will be posted in early June. Justice Is Mind will primarily be filmed in Massachusetts and can be followed on Facebook [https://www.facebook.com/pages/Justice-Is-Mind/1434311423...]. The film’s web site will also be launching in the next two months. Mark Lund is an award winning magazine publisher, thrice award nominated screenwriter, television personality, producer, director, actor and writer. He has produced and directed for the screen (First World), television (commercials) and stage (Becker College). As a TV personality, Lund starred on FOX’s Skating With Celebrities and served as a TV analyst for the sport of figure skating for over ten years most notably for CNN during the 2002 Winter Olympics in Salt Lake City. He is the author of Frozen Assets and First World: Covenant. In 2012 he made his feature film debut in Noah. Lund’s The Ashton Times is a marketing, production and publishing consultancy. Jess Killam is currently a senior attending Fitchburg State University for Video Production. She has produced student films and done various other crew work on films from Emerson College and Fitchburg State. In December she directed the stage play Brilliant Traces and in April produced the short film The Reception. Killam serves as President of the Falcon Players at Fitchburg State University.